The 5th Budapest Jewish Film Festival will be back again in November, 17-20. 2016. District, VI., 30. Teréz Blvd. Budapest Jewish Film Festival is the largest event of its kind in Central and Eastern Europe. With a broad line-up of the latest movies depicting to-day’s Jewish culture and heritage. During the 4 days film festival will introduce 30 movies and 8 additional programs by countries as: France, United States, Argentina, Germany, Canada, Hungary and Israel. A variety of genres and interpretations of Judaism is offered to those movie going audience interested and the skeptics. The majority of these films are to be seen for the first time in Budapest. The festival opens with the „Denial” – Starring Rachel Weisz, the story of acclaimed writer and historian Deborah E. Lipstadt who battled for her truth when David Irving, a renowned denier sues her. Denial is a fast-paced drama about freedom of speech and the questions of understanding our past. The festival takes place in the vibrant downtown of Budapest. The screening venue is good choice, because of enabling visitors to explore at the same time the city’s Jewish heritage, also to discover cultural gigs and the best of local culinary. October, 13 – 16. 2016. Visiting hours: open from 11 a.m.- 8 p.m., except on Friday: 11 a.m. – 10 p.m.
During the 4 days program it may fit into your time to see this huge national and international art fair. Thousands of works by around 500 artists on almost 6000 square meters. 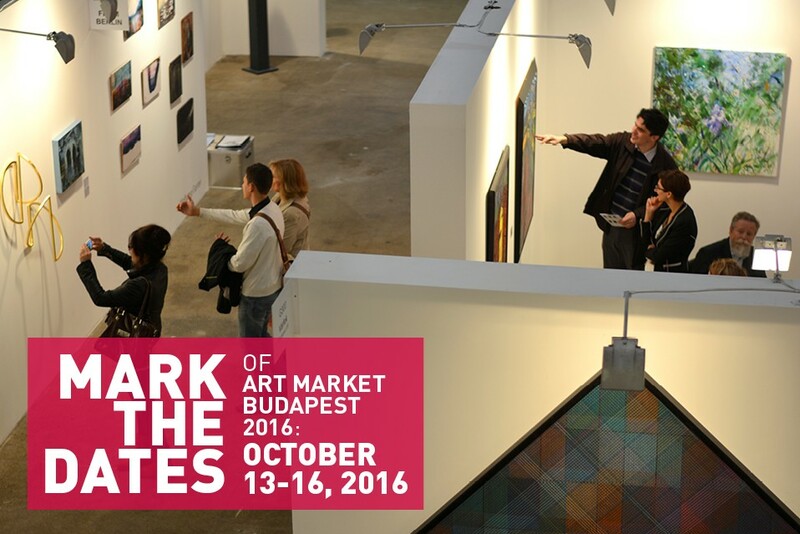 The 100 exhibitors from 25 countries include all the important contemporary galleries of Hungary. Meet in person the artists, collectors, experts and long time non seen gallery art lovers. One of the main goal of the Art Market is to bring the young artists from Europe together in time and space in Budapest – Hungary. The artists show their way of bringing upon surface their inspiration of culture in their own art work. “Press release … ART MARKET BUDAPEST, the international art fair established in 2011 presents a unique artistic composition in perhaps the most exciting exhibition halls in Europe, that, while it features some of the exhibitors welcomed even by the oldest art fairs, gives an emphasised presence to a younger generation of galleries and artists including the now emerging stars of the future. ART MARKET BUDAPEST defines a new cultural region: YOUNG EUROPE, where we may find combined influences from the former Communist countries stretching from the Baltic States to the Balkans, and from such sources of cultural inspiration as Turkey or Israel in the South, countries of Central Asia in the East, or even a progressive new generation of artists from the already established West. And what can be more attractive than a fair that is GLOBAL AND LOCAL at the same time? The synagogues in Budapest will be glittering in glow as they open its gates … The venues holds a special atmosphere with bringing outstanding artistic productions. Sunday, September, 4. until Sunday, September, 11. 2016. Guest stars from abroad arriving from the Israel, Serbia, States. Each year as the Indian Summer arrives the tradition of holding the Jewish Culture Festival is an awaited program for many locals and foreigners staying in Budapest. As having an insight to the below programs show that this year’s multi-arts festival will have a wide variety of events at several venues, featuring presentations – interpretation of well-known great actors and cheerful children’s show to entertain the young audience. The Festival’s main goal is to contribute in strengthening of tolerance through meeting eye-to-eye the cultures. Participating venues: Dohány Street Synagogue, Rumbach Street Synagogue, Goldmark Hall, Bethlen Square Synagogue, Hegedűs Gyula Street Syngogue, Liszt Academy, Bálint House, Zwack Museum … etc. Highlights of performances during the festival: Concert by Andrea Rost and the Franz Liszt Chamber Orchester … A World Invented – An evening with Anikó Für and János Karácsony, Myrtill Micheller and SWINGUISTIQUE – Edith Piaf and French Chansons, Mörk featuring Bea Palya, Soul Exodus – Bálint House, János Gálvölgyi and Miklós Benedek – No Kidding! A Very Impromptu Cabaret in One Act, Hegedűs D. Géza and Kovax – interpretation 200 years of Jewish Poetry, Musical Infusion for Ears and Soul, InFusion and Kátya Tompos concert, Tamás Pajor Unplugged, Lövölde tér – András Kern concert – Guests: Judit Hernádi and Gábor Heilig, Tamás Pajor – legendary personality of the Budapest underground/alternative art scene of the 80s.,Sephardic Divas Night – Mariann Falusi, Eszter Bíró, Dina Pandzarisz, Judit Klein, Kings of Klezmer Concert – Budapest Klezmer Band and the American Grammy award-winning Klezmatics, Klezmer meets jazz – Concert with Nigun and the Kossuth Award Winner Mihály Borbély, Hungarian Fallow – Balázs Galkó, Gipsy Swing – Katica Illényi and the Swing De Gitanes, Vera Jónás Ordinary Symphonies – Experiment Band concert, Handshake and Over this Water – Concert – Ghymes and Besh o droM bands, Look up to the Sky – concert with Charlie, The Walk – Documentary-feature premiere performed by Judit Havas, Patché Birthday concert – Péter Kálloy-Molnár, Mazel Tov – Concert with Violinist Eyal Shiloach (Israel) and the Klezmerész Band, Margaret Island Acoustic, An evening dedicated to Barbra Streisand – Finucci Bros Quartet and Nikoletta Szőke Concert, Caramel – Open Zone Guest: Dániel Rudas, cantor, Awake lute and harp! Let me wake the dawn, More than klezmer for 18 years – Concert with Sabbathsong and the Kinneret choir, Song in Noise – Anna Pasztor concert, Django meets pop and classical music, Pankastic Orchester Concert with Guests: Gábor Winand, Gergő Oláh and the Dohnányi Big Band, Petruska – concert guest: Bence Temesvári, Trumpet virtuosi in the Synagogue – Boban Markovic and his Orchester, Golem Tale – Gólem Theatre’s show for children. Rolling in the culinary of Mátra – The Year of Gastronomic Experiences. On a rainy day headed on the road to the north-east mountainous attractive natural environment that led to the city of Gyöngyös. The city is around 80 kms. from Budapest. It is the second largest city which in the Heves province. The residents of Gyöngyös call their City “Gate to the Mátra” (Mátra is the name collective of the Northern mountains in Hungary). Gyöngyös is truly a peaceful townscape, a.k.a. the city of grapes and wine. The first cellars already were based in the eighteenth Century these wine cellars could speak the stories of great revelries would come alive. The memory of the usual entertainments are not forgotten and even today from year to year are held „A Day Visiting – Drinking at Cellars” visits where wine minstrels also entertain the visitors. The city has more than a handful of attractions to look around, taste the locals wines and visit restaurants, fill their bellies with Á la Palots style of local meals. So definitely worthwhile to stop over, look around before heading to their original destination to the highest mountain in Hungary, the Kékestető. The notes have shown the history of the city was destroyed repeatedly by fire, but always reborn, and luckily from almost every historical era confirm significant and beautiful memories. The inhabitants of the city ruthless flames, as a reminder placed a statue “Red Rooster” in the center on the main street. Throwing a glance at the city center is a prominent building of the baroque parish church – St. Bartholomew. Inside representing significant value, the treasury of the Renaissance liturgical objects are kept. The valuable monuments include the Franciscan church and monastery, which was founded in the 1370. In the crypt rests the legendary general – War of Independence Rákóczi and János Vak Bottyán. The Franciscan library is the country’s only medieval monastery library monument. Here at Gyöngyös is Hungary’s book creation, copy the code and writing the first workshop, therefore the role of the national cultural history unrivaled. The diploma dated 1475 show the Franciscans already lived in Gyöngyös. The monastery library, which is constantly working and can be found between 14 and 200 thousand volumes piece of incunabula back from the Middle Ages. At the city’s main square former Market Place for centuries now-a-days four Fountains can be seen. In each Fountain features the city … the golden Sun, the human faced Moon and the white wolf – decorate the corners of the square. The significant motif of the fourth fountain in the south-east corner is grape referring to the Town of Grapes and Wine. These are also coat of arms motifs of Gyöngyös. Throughout the course of the history of Jewish-Christian times they have lived peacefully side by side. What’s more, as greater evidence of the Synagogue at Gyöngyös, which is a third of the country’s largest house of worship. The large, distinctive building was built-in 1930 on the basis of Leopold Baumhorn and György Somogyi. In the center of the building is located the large dome. For a long time it has been used as a furniture store, but now going through the period of reconstruction. Upon plans it will serve as Coexistence House and will organize events of the Christian-Jewish dialogue converted into a center. Will be housing also exhibitions and will be a center for cultural programs, and as for to-day heard already it has been completed renderings of the project. At Gyöngyös the Jews decades after the Compromise (1867) settled in a large numbers in 1910, the number exceeded to the population of 2000 that was one-fifth of the population Jewish. From the Gyöngyös ghetto in the summer of 1944, more than 1800 people were driven by the authorities, most were transported to the Auschwitz death camp, a few survivors after the war returned for a short time, and many of them left abroad to Israel or America. The war and the Holocaust abolished their memories in the surroundings. It is planned that the environment Coexistence House is rebuilt, and they try to give back to the building ’30s-edge features. At the Coexistence House, Judaism will be presented in the results of their activities of the past centuries at Gyöngyös – Hungary. To be introduced the industry installers, architects, cultural patron, pharmacists – Gideon Richter who studied in the city. Also lived in the county Lajos Hatvany and Sándor Bródy. Hopefully, can be mention the rooted girls, former citizens of Gyöngyös the Chess champion Polgár Girls. After the short sightseeing headed to the Kékes… Restaurant where Anita Molnár – Hungarian National Tourist Office – Regional Director of Marketing and Robert Nagy – President of Mátra Beaded TDM, Mayor György Hiesz and Tamás Kévés –Vice-President, Gábor Törőcsik – regional marketing manager welcomed the group. Also each one of the emphasised how worthwhile to stop and look, taste, enjoy the what Gyöngyös is all about, which is kinda skipped by drivers on the Highway to Kékes. The group was ensured by entertainment during the supper, tasting local wines and enjoying the event of the Mátra gastronomic – Year of Gastronomic Experiences. Excellent food was served by Zoltán Nagy – master chef and Veronika Szabó – kitchener. Krisztián Kovácsik presented the wines – winemaker from Bardos and Son Winery. The background music was by Attila Szőke plays acoustic guitar and Gusztáv Mátra and last but not least an awesome Borostyán Palots Folk Dancers show highlighted the night. Surely was a fine time even dispite the pouring rain and short stay, but major attractions were shown and definitely a must stop for all before heading to the Kékes mountain to stop by at Gyöngyös to visit in the future … of course not only for the Hungarians, but to visit Gyöngyös for the tourist, foreigners working staying in Hungary would be a pitty to miss. Hungary’s largest tourist parade at HUNGEXPO –TRAVEL 2016. DAY1 ... Even though the data are under processing on the opening day showed the tourism trends show that the visitors are mainly looking at inland offers. Never-the-less there is still 3 days to go for visitors to look and see what the foreigner exhibitors can offer them. Many foreign exhibitors were here last year and having good experiences with their offers, came back this year aswell. The list would be extremely long to mention having from 28 countries with 399 exhibitors of domestic and foreign exhibitors, but a short note to see a couple of offers at their stand can be learnt. On the first hand, Budapest – Hungary as the City of Guest of Honor, with its slogan “Budapest hosts Hungary”. In 2016., the Budapest Summer Festival and the Budapest Spring Festival offering this year within the spirit of Romanticism assembled cultural activities and including for tourists special packages to book also available during the exhibition on the spot. At the Margaret Island Open-Air Stage, Hungarian and International artists will be on stage such as: Andrea Rost, Erika Miklósa, Zoltán Kocsis, Támas Vásáry, Gergely Madaras, Hawk Dominic. Welcoming foreigner stars on stage will be Yuja Wang- Chinese pianist, Marc Heller, Sébastien Guez, Giuseppe Filianoti, James Valenti – opera singer, Stacey Kent – jazz diva, guitarist – Stanley Jordan and London’s Globe Theater and the Monte Carlo Ballet. As a novelty 3 Tenors opera gala and there will be Virtuosi festive variety show, circus and concerts as well. 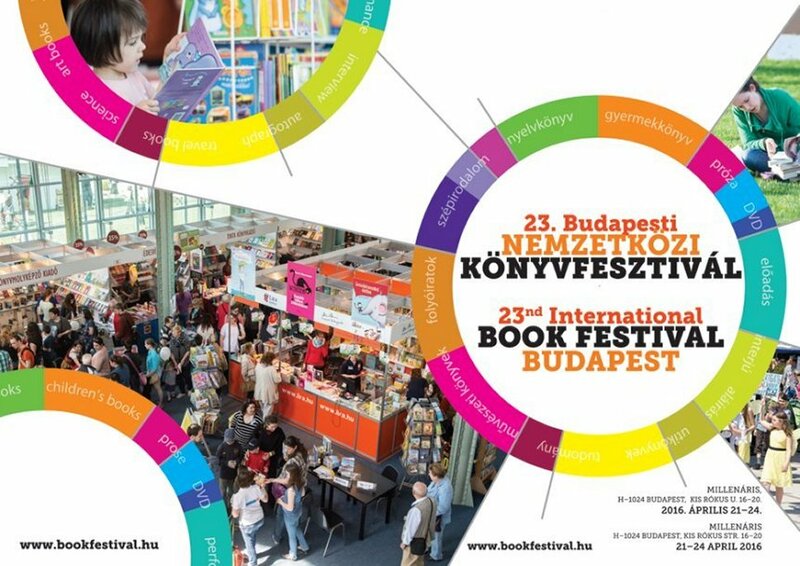 On the second-hand, a wide variety of foreigner exhibitors arrived this year aswell to make the Hungarians wish to spend their holidays abroad, and most probably if they really want to know a country’s cultures then certainly will learn through its gastronomy. As mentioned, more than two dozen foreigner exhibitors are present, so here is a couple mentioning to visit their stand. Israel – The israeli stand was opened by His Excellency Ilan Mor Israeli Ambassador to Hungary, by saying Israel is a place to visit once in a lifetime, these were the first welcoming words. Take a journey through the ancient Holy land, learn, discover the authentic Israel with family, friends or fellow travellers. Whatever the season experience something new, interesting and exciting, including activities, customs and places that are unique. Hear more about the travel opt. on the spot. There is a huge of holiday offers that will surely catch the eye. Turkey – A place where nature, Sun and Sea, health and wellness, sport, culture can be all reached having vacation at Kemer/Antalya with family or friends. There are many hotel just by the Sea where the spectacular mountains and sea view of the Mediterranean can be perceived on the spot. Malta – Is closer from Budapest than many may think. It is a small countries with marvelous places to visit, for instance: Popeye Village, the Grand Fort and during the fall holds the Birgufest – Candlelight event at Birgu (also known as Vittoriosa) – which is one of Malta’s oldest and most historic cities. Cyprus – Was a good reason for the visitors by telling, Cyprus can be visited any time of year that suits you. Many places rich of ancient ruins can be found there and also very handy is a “free” weekly guided tour, I was told. Was highlighted to visit Pafos Archaeological Park. It is at the entrance of the harbour one can access this quite stunning park which houses a truly unique collection of remarkable treasures dating from far back in time in the 2nd century B.C. The photo exhibition will be open until March, 8. 2015. The opening ceremony on January, 30., was led by Ilan Mor – Israel’s ambassador to Hungary and journalist Ronen Dorfen who presented the project of the “Stones’ in use for something else” by photographer Alpern Bernadette. Bernadette Alpern – photographer’s got fully addicted to take snaps of buildings of once busy Jewish cultural and religious life’s venue, which are still standing in the historical centers of the European Jewry. So she began her project with a genealogical research. Her grandfather forced her parents to move from Sárbogárd to Budapest at the age of 18 due to family issues. The grandfather at the age of 65 asked her father to go back and see his childhood home. This didn’t happen because in the meantime he has gone ahead. Years later Alpern, as studying at Kaposvár, past often Sárbogárd were her grandfather lived and planned one day she will stop over the place. When the final day happened went to the town-hall but she left without success, cause after 71 years nothing remained from the old-time only the street’s name. The old synagogue stood on the same street but was in use as a second-hand furniture and cloth store. Sárbogárd’s history of Jewish community goes back to the 18th century.The synagogue was built-in 1879. an beside stood the rabbi’s house and an elementary school. Way back the community had 500 members, but during the Holocaust in 1944 was completely demolished. To-day, 235 jews known names are listed on the Holocaust memorial and only a few tens survived and came back to their town. In 1960, the synagogue was sold. At the loft still lays is mud, dust and bird droppings religious books. Seems like no religious community took or have knowledge about them. To-day the building is used as a private store, operated by a Romanian man. Little can be discovered on the inside walls of the original use. Only the walled windows are reminiscent of the “Gate of Mercy of Jerusalem”. At this stage she took her first photos and later it became the series which led her as a result with an article in the Israel Hayom newspaper with the contribution of journalist Romen Dorfan. In 2013 Bernadette Alpern granted funding by the European Association for Jewish Culture to set out on a journey across Europe to explore and documentary synagogue buildings … the stones that are in use for another purpose. This introduction will hopefully give a hint in advance to the visitors of what to see on exhibition at the Museum of Ethnography in Budapest.